Location: From the intersection of Hwy 51 and County Hwy W in Manitowish Waters, continue north on County Hwy W approximately 1.5 miles to the North Lakeland Discovery Center. Serene and secluded biking/hiking/skiing trails around Statehouse Lake and along the Manitowish River. 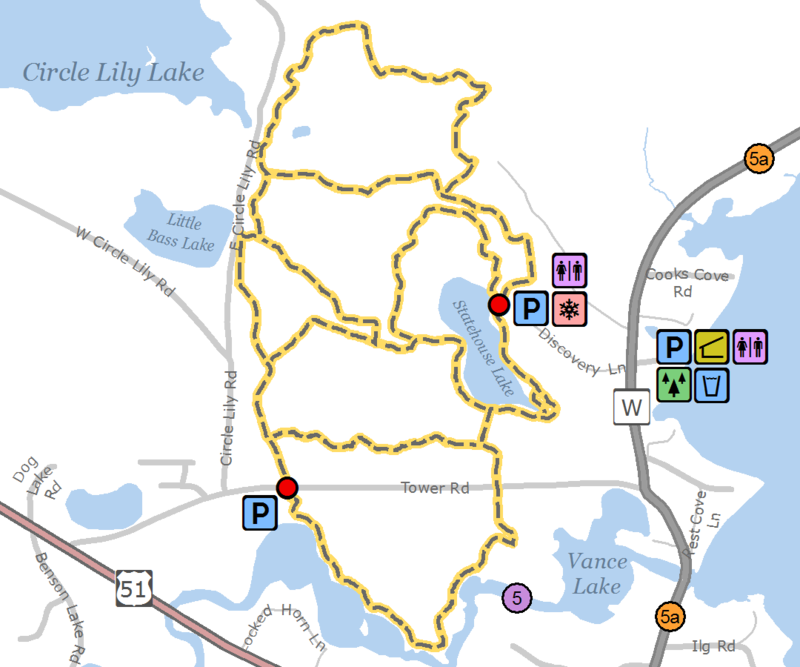 Easy/beginner and intermediate loops wind through new growth and old forest, and along bog and shoreline. The Bill Lambrecht Memorial Interpretive Trail and bog boardwalk are also open for exploration. Parking, trail info and warming house at the Discovery Center. This system connects to the Manitowish Waters Trail.